She had explained in an elementary way how our body, rather entire universe is comprised of 5 elements – Prithvi, Akash, Agni, Tej and Vayu. The three bio-elements – known as “Doshas” in Ayurveda i.e. Vata, Kapha & Pitta and the “Jatharagni” – digestive fire determines what kind of food is the best suitable for us to stay healthy. The digestive fire is ignited by the food which is balanced on the tastes- Sweet, Sour, Pungent, Bitter and astringent. Typically every food that we consume gets digested, nutrients are assimilated and waste is extricated from the body. However, sometimes, due to several unavoidable circumstances like irregular lifestyles, health/mental conditions, stress and illness, food may not get digested fully and may remain unabsorbed. This unabsorbed food accumulates in body and is a major cause of acidity and gastric problems. This health condition is known as “Ama” in Ayurveda which is exactly the opposite of Jatharagni that aids in digestion, whereas Ama causes health problems. Ama causes several illnesses like nausea, inflammation and lethargy. A person with frequent digestion problems cannot lead a successful life and develop frequent irritation and frustration. Indian fermented food like Idli, Dosa, and curd assists in incorporating live bacteria (of course health friendly) in our body that in turn aids in digesting this unabsorbed food causing Ama. It also helps in relieving from uneasiness in digestive tract. While stressing on the importance of Indian food over western food influence, Dr. Meera exemplified this concept with a beautiful anecdote. Her granny made her stir the Idli batter with her little hands, 5 times in circular motion, chanting “Govinda Govinda Govinda”. The purpose was to incorporate the heat of her hands in batter to activate the bacteria and also the positive energy by remembering God Krishna before fermenting the Idlis. This shows how Indian culture and science work in collaboration to give out the best results. We have shared on the blog, recipe of Poha Idli made up with Idli rawa, Urad dal and Poha, which result in lighter & fluffy Idlis. We are glad to share a ubiquitous form of Idli, made up from parboiled rice and urad dal. Follow the recipe to see how easy it is to make soft and fluffy Idlis at home with just 2 ingredients. Drain its excess water and grind both the ingredients separately. 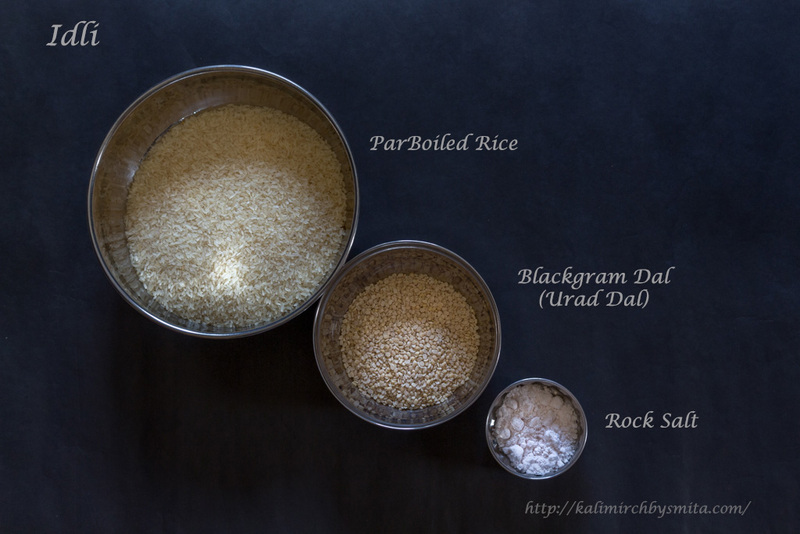 We have used ½ cup water for grinding Urad Dal. Take a large vessel and put Urad Dal batter. Pour Rice batter and 2 tsp. Rock Salt powder and mix well. It is said that while mixing a Idli batter, you must make use of your palms. Wash and dry your palms before you use it to mix the batter. Mix slowly. Add water in just enough quantity, to ensure batter stays of pouring consistency. We have not used any excess water for making this batter of pouring consistency. Use a large vessel for storing the batter. The vessel must have some space left on top for batter to rise with fermentation. Now, leave the batter covered and untouched for 8 hours at a warm place. After 8 hours Idli batter has risen due to fermentation. Heat some water in a steamer and grease the Idli molds with some ghee/oil. DO NOT stir rigorously. Stirring too frequently will result into Idlis not becoming soft and fluffy. Mix gently. Pour batter in moulds and put this mold in the steamer. Cook covered for 12-15 mins. 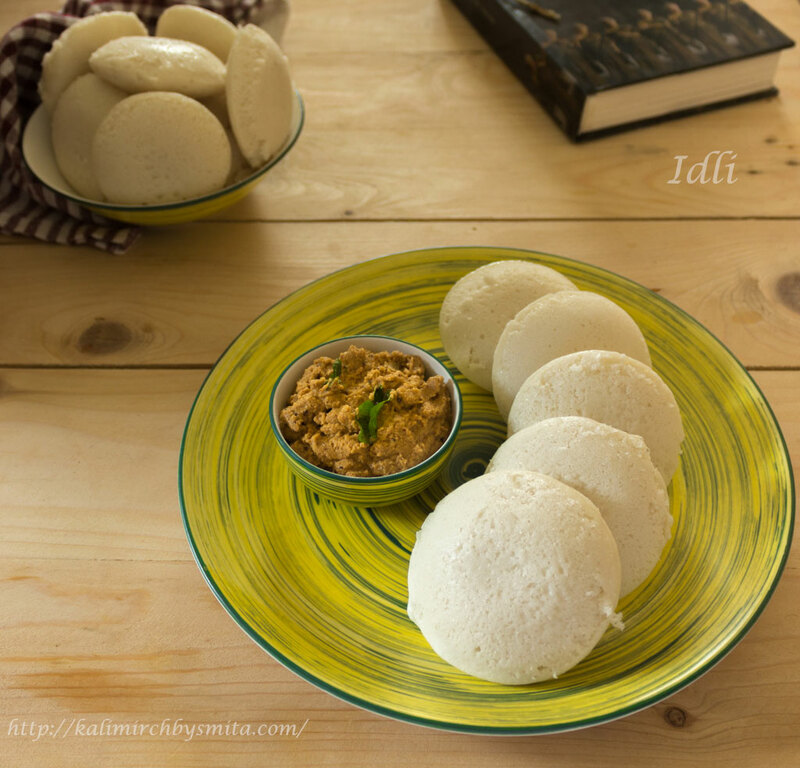 Soft and fluffy Idlis are so easy to make at home. 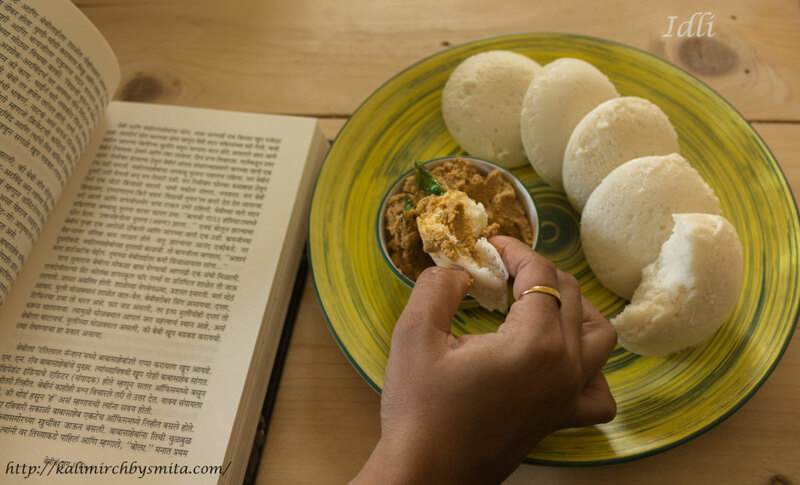 Make Idlis for your weekend brunch and find time for your favorite activities. They look very Tempting, I make idlis but don’t add namak before fermentation.This is new for me.